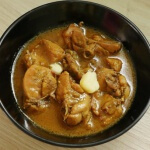 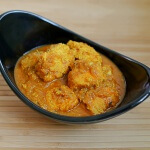 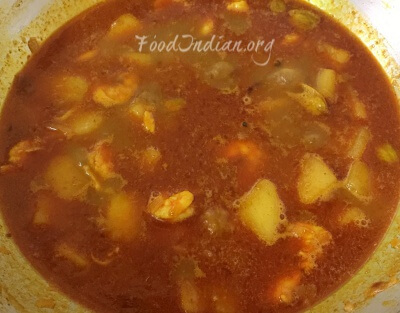 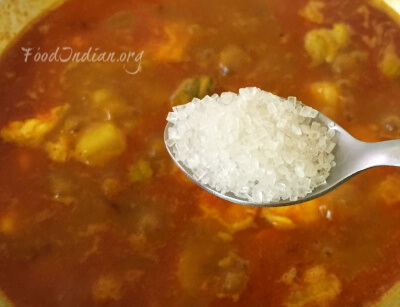 Prawns Curry is one the regular dish we make whenever we get prawns. 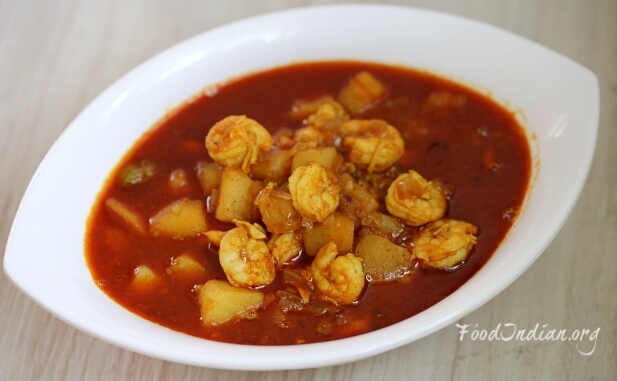 My hubby madly loves Prawns, so it is obvious that I have to make different types of dishes with this delicious sea food. 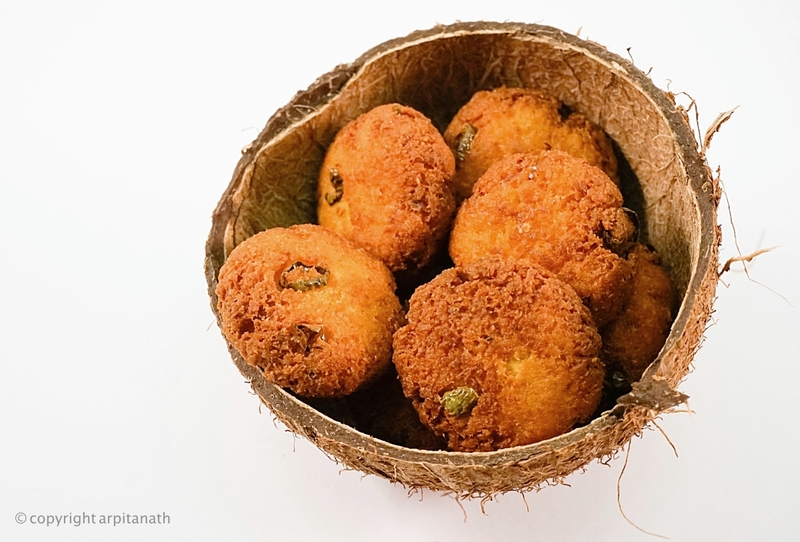 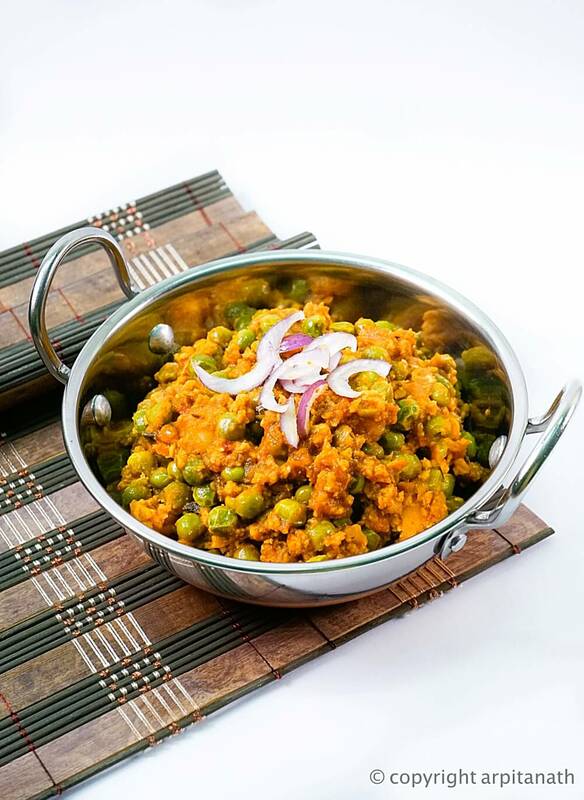 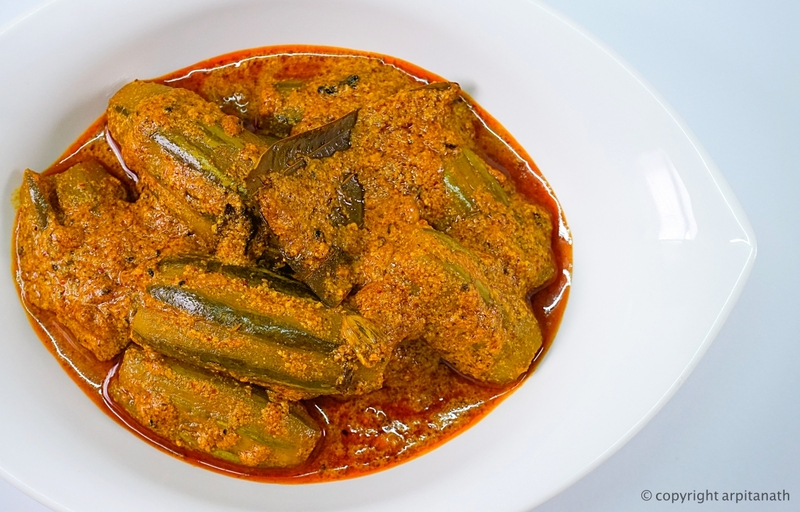 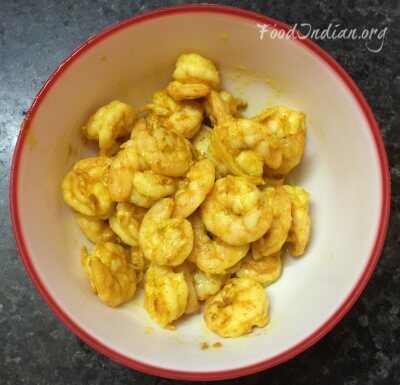 Prawns are counted in the category of fish in bengal, and like all other fish lover Bengalis, I also try and taste a variety of dishes made with prawns. 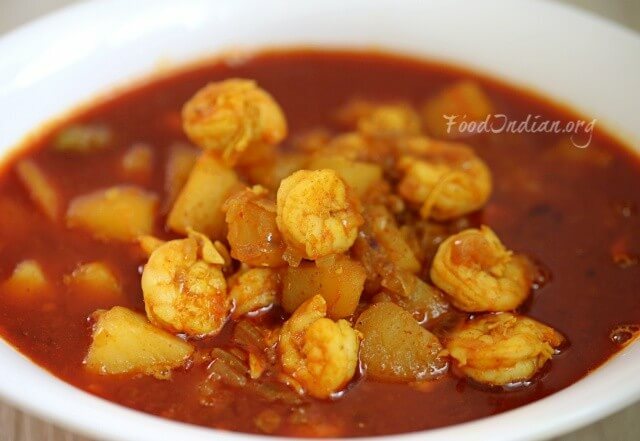 This delicious prawn curry tastes so yummy and so easy to make. 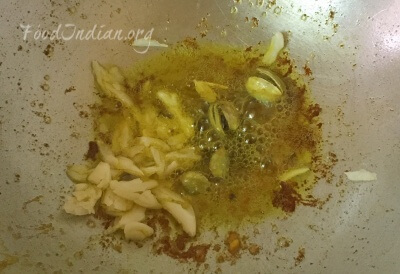 In the same oil, add crushed garlic and cardamom. 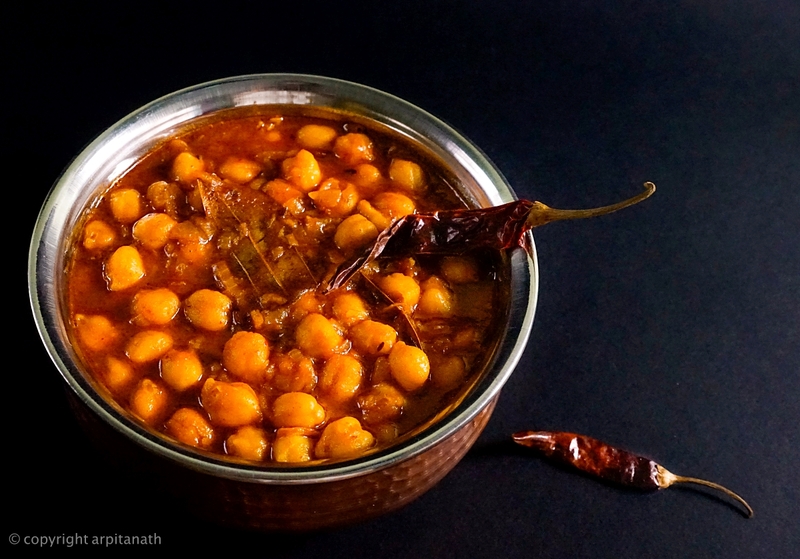 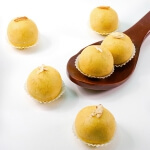 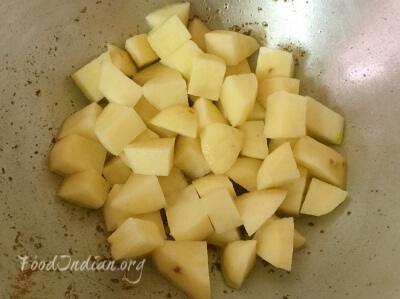 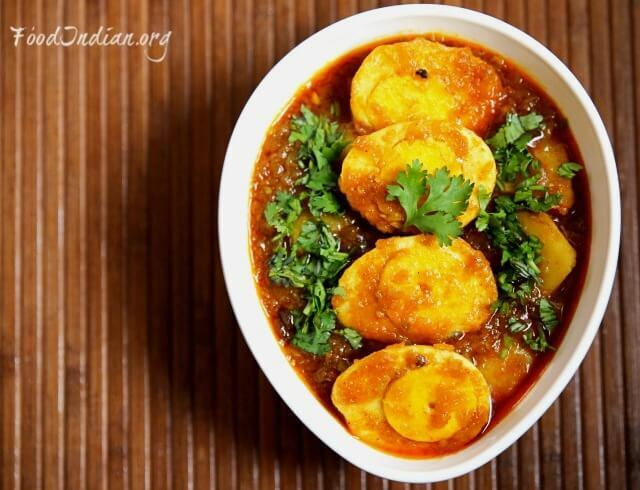 While they release aroma, add cubed potatoes into the pan and fry them for 3-4 minutes on medium heat. 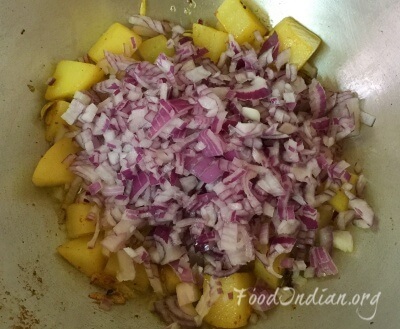 Then add chopped onion into the pan. 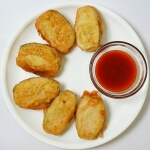 Fry until they become caramelized. 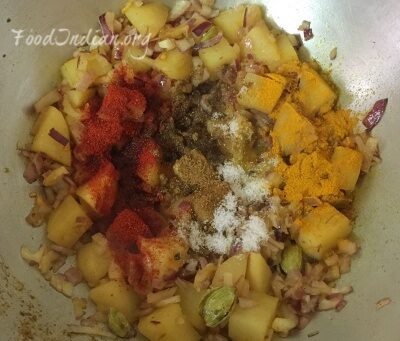 Now add turmeric powder, red chilli powder, salt and cumin powder into the mixture. 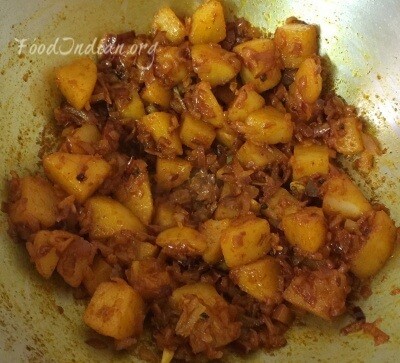 Mix and fry the spices very well, at least for 5-7 minutes. 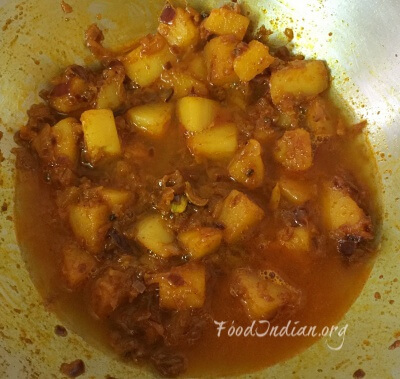 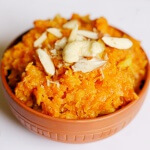 When the mixture is fried enough, add water and cook for 2-3 minutes on high flame. 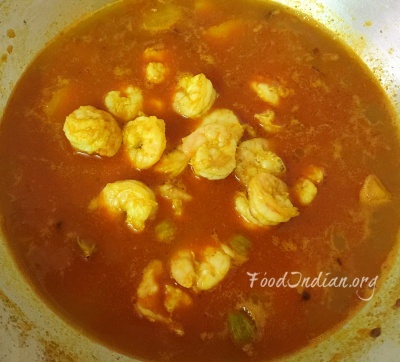 Then add the fried prawns into the gravy. 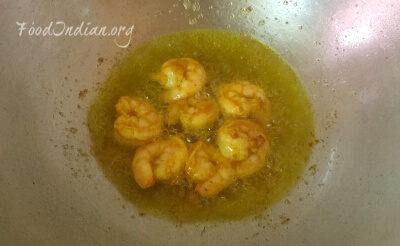 Add sugar and clarified butter. 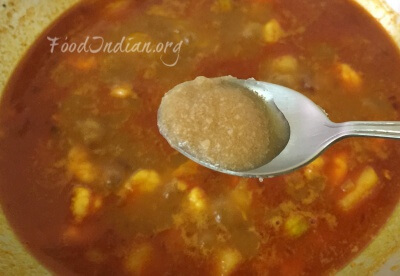 Stir well and cook for another 5 minutes. 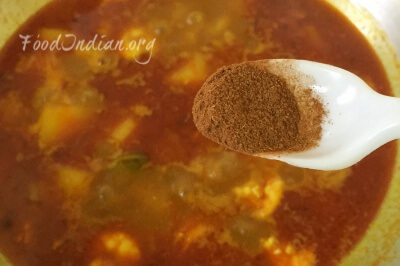 Lastly add garam masala powder, give a stir and switch off the flame. 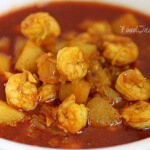 Your prawn curry is ready to serve. 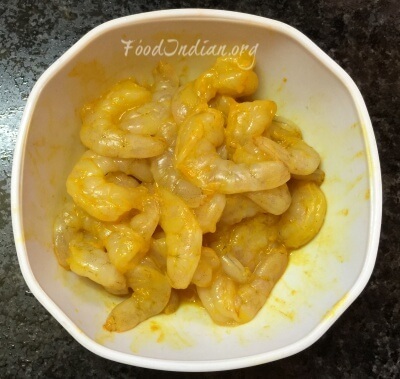 Dont over do the prawns while frying.